Now in its tenth generation, Lanificio Paoletti promotes a culture of wool rooted in the territory of its origin, a place where creative energy has always abounded and where people treasure their textile traditions. The story of our family’s company began over two centuries ago, marked by revolutions and stories from a rural experience of “La Dolce Vita”. Textile production in Follina began in the mid-12th century along the river of the same name that runs through its old city center, when Cistercian monks introduced wool production to the area. Follatura, the process of washing and felting wool cloth, flourished in this rainy valley thanks to an abundance of water resources that powered mills and preindustrial machinery used to beat raw cloth. An ambassador of the Republic of Venice brought mechanization of the textile sector to area mills during the first industrial revolution. After a sojourn in England, this envoy set up shop in Follina as a wool manufacturer. He obtained a license to produce premium cloth inspired by English and Dutch drapery that was then sold on the French market. The Paolettis were weavers of premium cloths from Miane who settled in Follina at the end of the 18th century. They set up their wool mill along the river, which powered the spinning and fulling machines, while the weavers worked on looms in their homes. The Follina wool district experienced considerable economic difficulties during the Italian wars of independence. Area companies gradually consolidated into the one firm still in business today: Lanificio Paoletti. 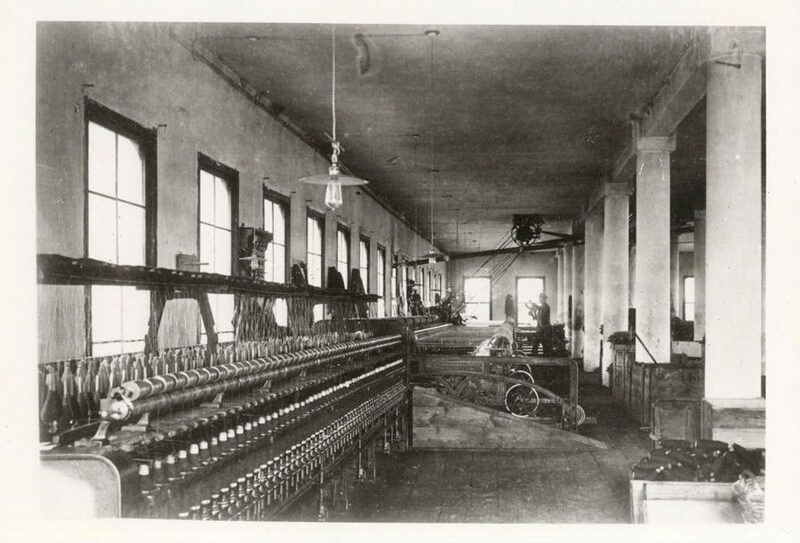 In the 19th century, the company mechanized its entire production of yarn, developed steam finishing techniques, and set up in-house workshops to construct and maintain the mill machinery. This enabled the company to expand its production significantly. 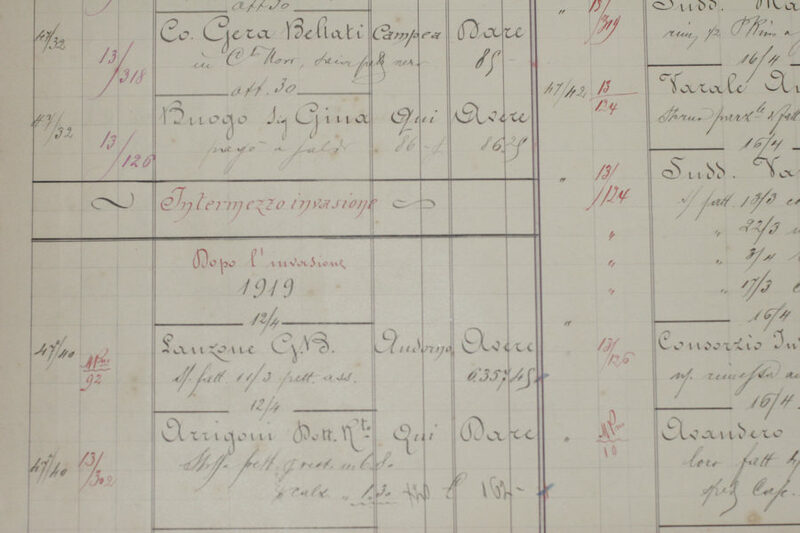 In 1865, Antonio Paoletti helped found the Worker’s Mutual Aid Society in Follina, and in 1877, he was one of the signors of the Articles of Incorporation of the Italian Wool Industrial Association. In the fall of 1917, business halted due to the Austro-Hungarian invasion following the Italians’ defeat at Caporetto. Along with its workers, the Paoletti family fled to Biella, where it bought an abandoned spinning mill and began to produce yarn. In 1919, it returned to Follina and began the laborious process of rebuilding its mill. Giovanni Paoletti earned a degree in textile engineering in Biella in 1926. He experimented extensively with dying wool flock and developing new color blends that still today distinguish the creativity that Lanificio Paoletti brings to its work. A textile designer born and educated in the Spanish wool district of Terrassa was hired to work in-house. He introduced the experimental use of twisted yarns, combining wool with other natural fibers. The weaves yielded irregular and complex cloth surfaces, which had become very fashionable in France. 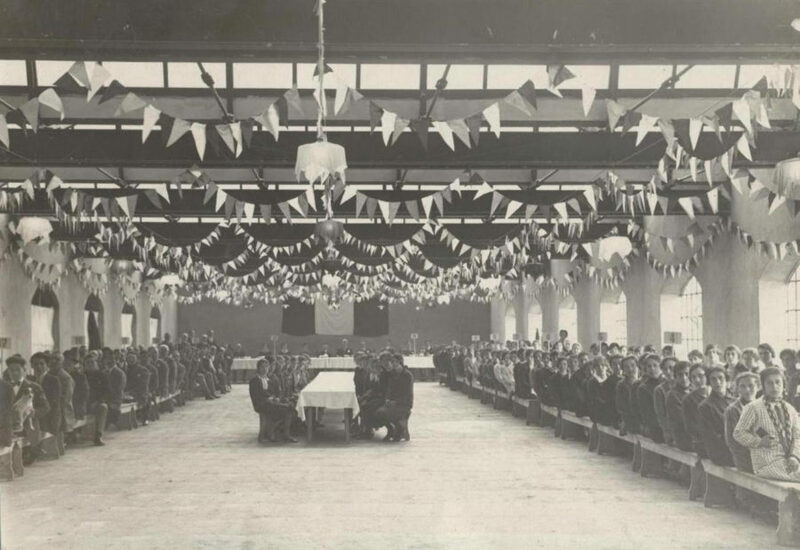 Specialized in the production of felt-cloth and blankets, the mill spent a lot of WWII producing military provisions. This exonerated its workers from the draft, sparing them the dangers of combat. 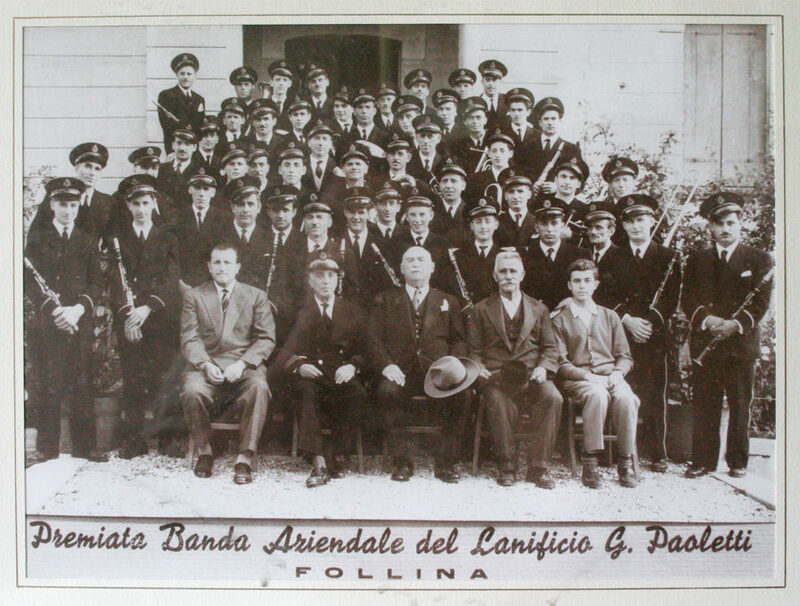 A recipient of the Order of Merit from the Republic of Italy, Gaspare Paoletti founded the mill’s very own company orchestra and organized summer camps for children of the firm’s employees. The wool mill begins to patent its certified, high-quality textiles made of pure wool and premium fibers such as mohair, alpaca, cashmere, and camelhair, which are sold throughout Europe. The Italian Fashion Board asks Lanificio Paoletti to participate in a series of conferences with the country’s main fashion designers and to collaborate in predicting trends for textiles, lines, and colors. 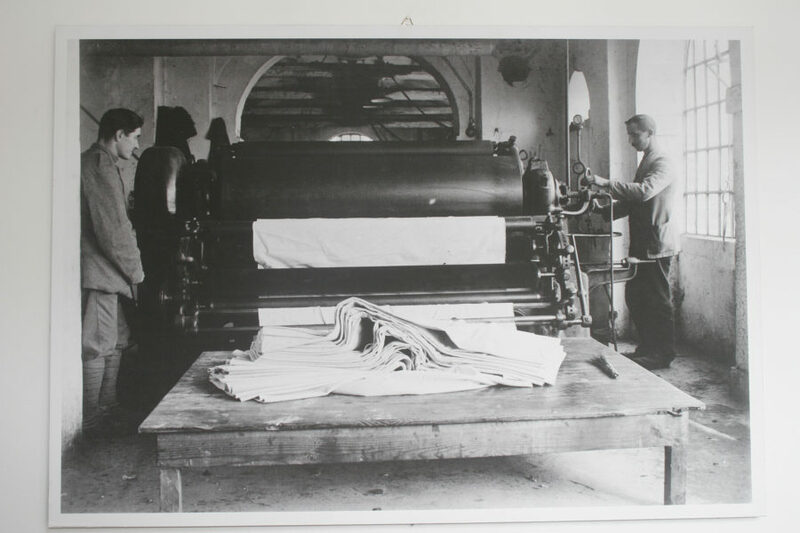 Magazines devoted to menswear such as Arbiter in Italy and Sir abroad begin to publicize the high quality of Lanificio Paoletti’s textiles. Due to their robust, rough quality, Paoletti wools begin to be used extensively in urban outerwear. The mill creates synergies for research and innovation with various brands in developing classic, contemporary textiles. The mill hires its first in-house designer trained on a manual loom. Designs and color patterns directed at women’s fashion become even more complex and expressive. The many architectural layers of this storied industrial complex bear witness to a constant evolution that has involved and preserved all phases of the manufacturing process, prizing the know how transmitted from one generation to the next since 1795. The rediscovery of the company’s historic archive is today an immense source of creativity, development, and innovation.